Australian police were recently loaned what might just be the coolest looking police vehicle on the planet. 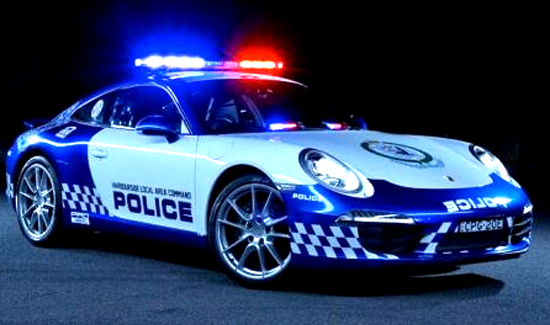 According to the website Code 3, Porsche has just given the Australian police in New South Wales a spanking-brand new 911 Carrera for public relations uses only. Police in Oz (otherwise known as Australia) have had a relationship with Porsche since 2012, and have used their vehicles at about “300 public relations events” over the last two-plus years according to the website. But as is almost always the case with these promotional vehicles, sadly no cops are going to get to chase any bad guys in the 911. 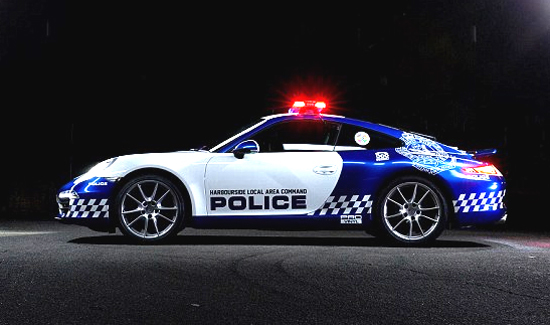 “Although the 911 might make an ideal Police response car in some people’s eyes, the true value of the sporty Carrera in police decals is that it will draw attention and curiosity with younger folk especially, which is exactly what we aim to achieve,” Police Superintendent Sicard told reporters. The gorgeous deep-blue-and-white design paint job is the winning entry in an international contest for students.